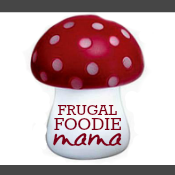 Frugal Foodie Mama: Don't Be a Fool... Get on Board with Frugal Foodie Mama for April! Don't Be a Fool... Get on Board with Frugal Foodie Mama for April! Come join Frugal Foodie Mama's sidebar for April and take 20% off your ad spot with the promo code nofooling now through March 31st! ALL of my ad spots come with more than ad placement on my blog- they ALL come with some social media promotion! My Apple of My Eye in-post ad is already booked for April, but you can still use the promo code to go ahead and reserve that ad spot for May. :) It is a solo ad spot, so it goes quickly each month! I still have A Peck and A Pin-t ad spots available for April. The Peck ad spot comes with Twitter, Facebook, & Pinterest promotion, plus an opportunity for a guest post with or without an individual giveaway (yep, all the giveaway traffics goes right to you, friend!). My new Pin-t ad spots have been very popular for this month, and are my most affordable at just $4.80 with the promo code. It includes sidebar placement AND Pinterest love with Twitter amplification. This spot is a steal with my growing Pinterest following (currently at over 4600!). Don't be a fool, friends! Take advantage of this early discount & get your spot reserved for April. This is a great deal, Carrie! Where do the "Peck" ads appear? Thanks!